Bellies, Birth and Beyond is back! This event is your go-to place for all things baby. 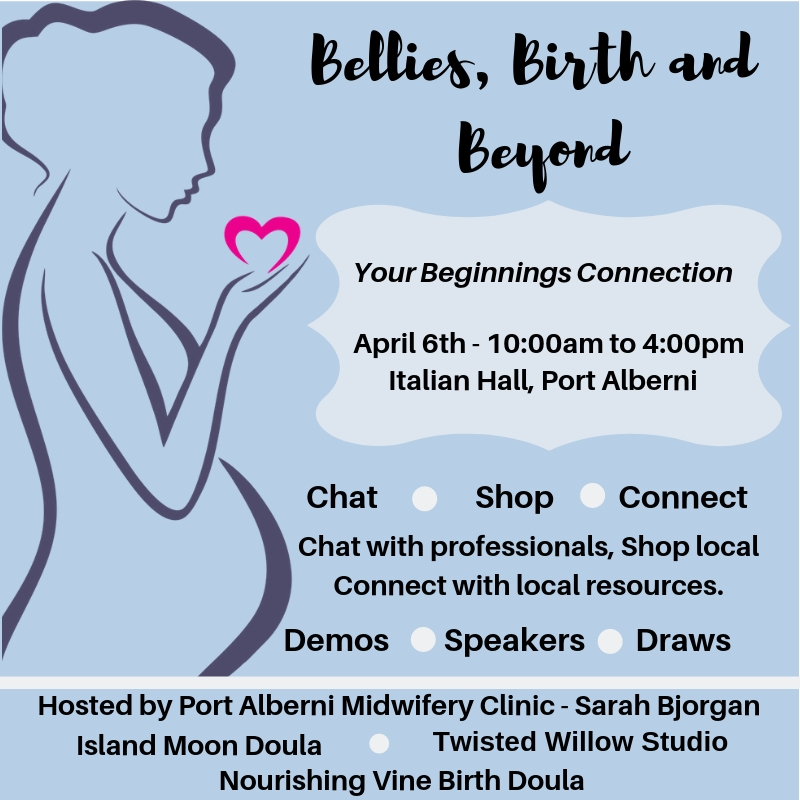 We will have a variety of networks such as doulas, pre/post natal yoga, Port Alberni Midwifery, infant wear vendors, birth and newborn photography, health and holistic services and baby-wearing pros, and so much more! Come by and say hello! This is a great opportunity to see what Port Alberni has to offer expectant and postpartum families. We will have demos again too! From belly binding and baby wearing to doula prenatal comforts and so much more!